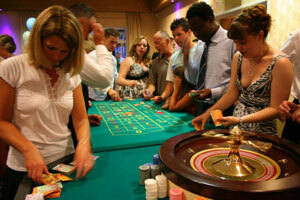 Welcome To All In Mobile Fun Casino! 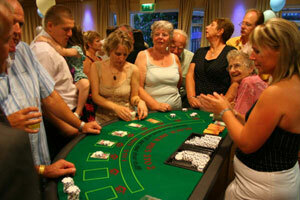 All In Mobile Fun Casino will travel throughout the UK to add an element of sparkle and glamour to your evening. 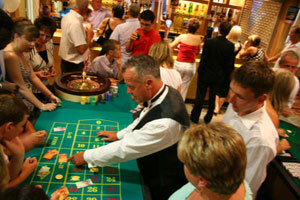 We supply the tables complete with croupiers and dealers, we also provide fun money to ensure players have a base to compete for prizes such as the 'highest winning player'. We aim to provide maximum value and our prices are very competitive. Our Fun Casino is run to comply with the 1976 Amusement and Lotteries Act - Remember you are not playing for real money, just for fun!